Dean R. Camlin has completed many projects for the large distribution warehouse for Random House in Westminster, Maryland. Seen here are the truck docks on the face of Building 4. The tall, striped addition beyond is Building 5, which has a super-flat floor to accommodate the 65-foot-tall forklifts operating in the building. 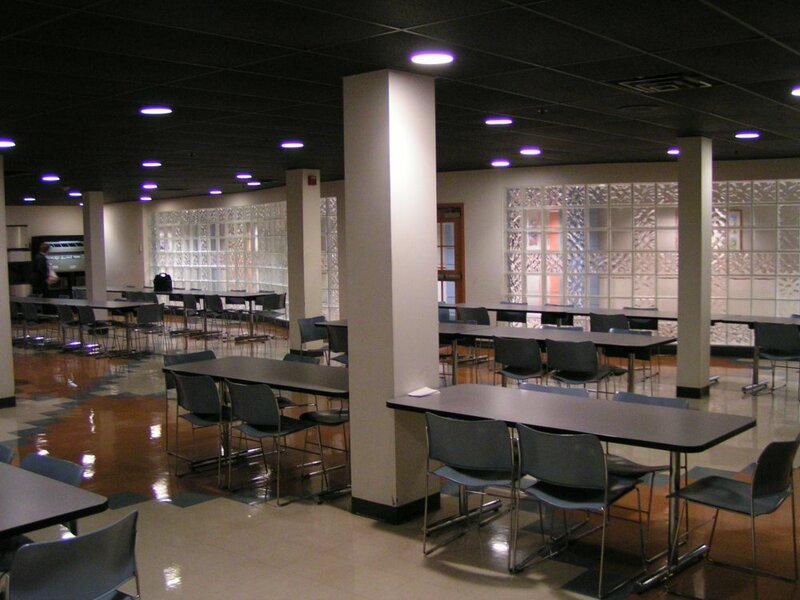 Renovations to the Executive Offices included this employee cafeteria, pictured below. 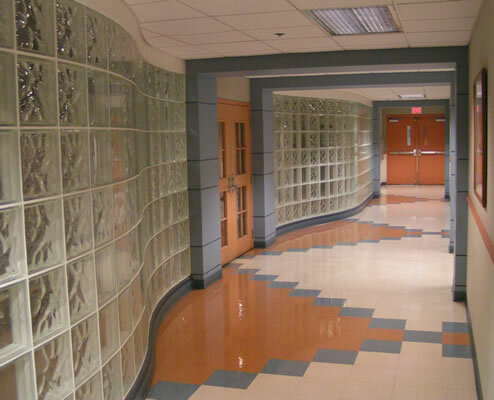 The undulating glass-block wall and entrance to the new cafeteria, seen here from the hallway.